After a long evening walk at Barn Island on Monday the 6th, Allison Black and I decided to stop by Stonington Point to scan the water for egrets traveling to roost. 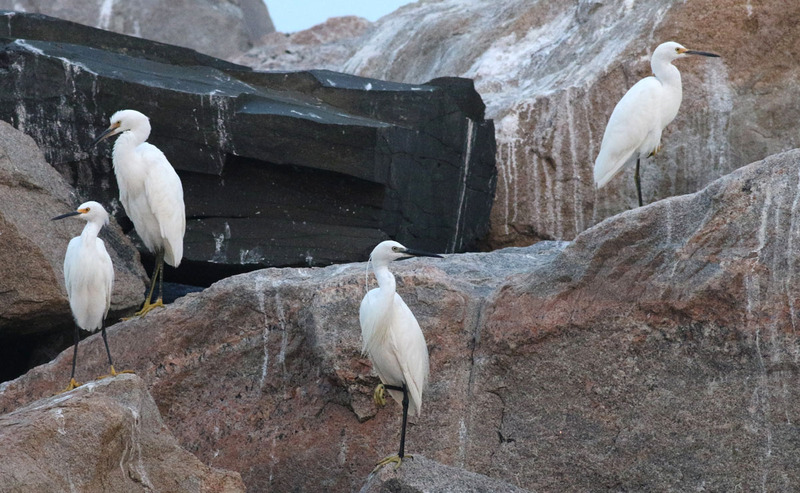 We were surprised to find 100+ egrets roosting with several hundred cormorants on the east breakwater off Stonington Point. The birds were too far and the light too low to have any chance at picking out the Little Egret, if it decided to roost there. But we were intrigued, as that breakwater is just over the state line into Connecticut. On Tuesday the 7th, the bird's main daytime feeding grounds were finally revealed. It was again observed first thing at Napatree, and again flew north towards CT...but this time Matt Schenck saw it turn southeast towards Misquamicut, RI. It was refound later that morning by Tom Seiter feeding along Atlantic Ave in Misquamicut. This location is six miles east of Napatree...and six miles farther from Connecticut. Meanwhile, a few of us had been talking strategy. 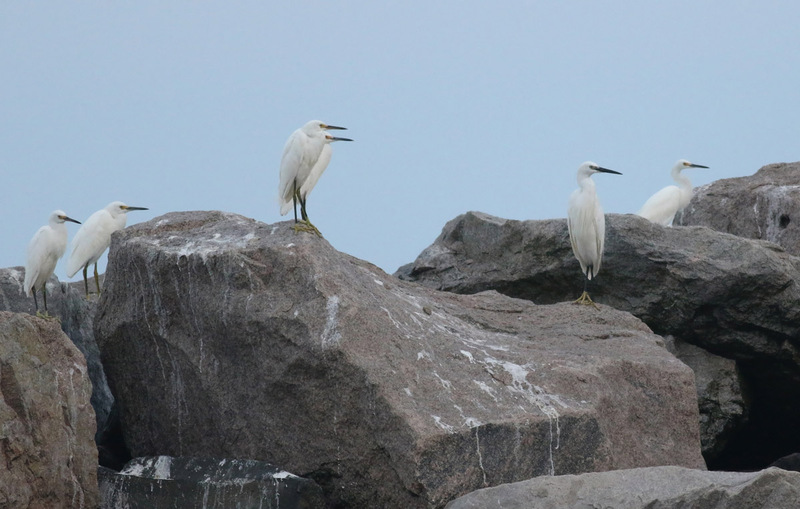 We wanted to get out to that breakwater for dusk to see if the vagrant egret was using that roost. We thought it was likely that it would be out there, but getting to the breakwater and then finding the bird in falling light would not be easy. The fact that the bird was found feeding well into Rhode Island only increased our resolve to get out there, since we thought it would be our only hope while it kept to its current daytime pattern. Phil Rusch was able to secure a charter out of Avondale, RI for this evening (Aug 8). My boat, docked in Norwalk, was not a reasonable logistical option. Phil, Dave Provencher, Allison Black and I filled the charter. Each of us had already put effort into finding this bird in CT, and we were eager to try a new angle. We left the dock by 6:30pm and were pulling up to the east breakwater at 6:45. 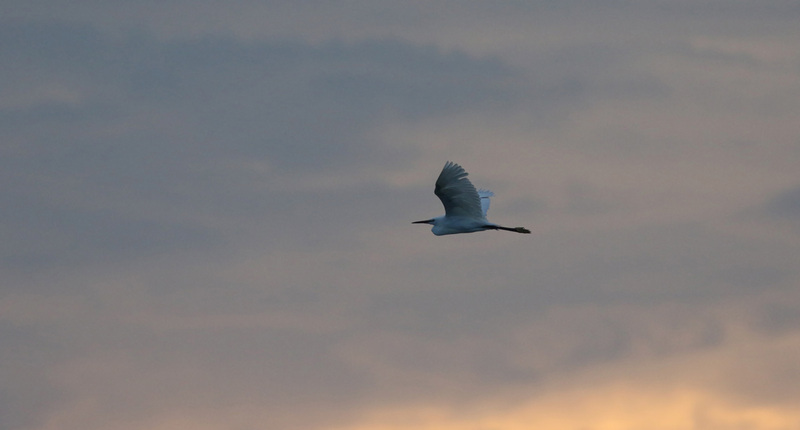 The first egret arrived around 7pm. A handful more trickled in before a flock of 20 arrived - all Snowies. 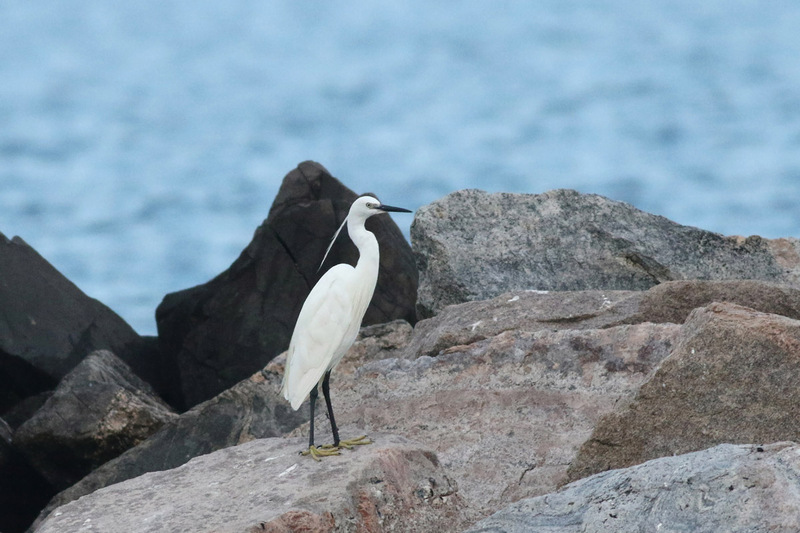 At 7:14pm I noticed a distant lone bird perched further down the rocks that looked perhaps large-billed and did not have obviously yellow lores, and asked the captain to put towards it. The closer we got, the more suspicious it looked. "Guys, get on this bird." Sure enough, we had found it. We were pretty stoked that our efforts had paid off. And very grateful that the bird didn't wait until dark to come to roost! It just happened to work out beautifully. The LITTLE EGRET eventually moved further down the breakwater to join the main throng of Snowies, and we headed back to dock a very happy group! Second from right. Note the strong black bill and the bird's overall larger size than Snowy Egret. Center frame. Note the thick, black legs among more classic features. The captain who agreed to take us out, Dave Shepherd, was incredibly accommodating and seemed genuinely excited to be a part of our experiment. If you'd like to contact Capt. Dave to try to replicate our results, you can give him a call at 845-263-0119. Please also contact Ian Devlin at captain_ian@yahoo.com. He is one heck of a local fishing guide who is also a birder and will be happy to take folks out for the egret, just as he did for last year's Bridled Tern! For anyone trying to view this bird from land, I think it will be difficult at best. The closest point of land is Stonington Point, which is two-thirds of a mile from the breakwater. Even in perfect viewing conditions, certain identification may not be possible at all. If you can't secure access to a boat, you can kayak out there...but please be safe. I suppose that someone could scope from the point while another person on boat/kayak tries to give directions to the egret. Whether or not you would feel comfortable "counting" a bird under those circumstances is of course up to you. Here is a map showing the three known locations this bird seems to be favoring based on its current pattern. It must leave the roost very early, as it has been seen feeding at Napatree first thing in the morning. It then moves east to feed in the marsh off Atlantic Ave in Misquamicut. It apparently comes to back roost on the east Stonington breakwater in CT after 7pm. You can see the state line that separates CT, RI, and NY in the bottom left corner of the map. The CT/RI line lies just east of the breakwater in question.